If you’re serious about generating leads through hosting an event, you need to maximize the lead generation opportunities it offers. Did you know that the biggest challenge B2B marketers face with regard to lead generation is generating high-quality leads? And it’s becoming more important every day. In this post, you’re going to learn everything you need to know about maximizing the opportunities of a live event to generate leads and drive ROI for your business. But, that’s not all. These activities should be aimed at actively identifying target leads. This means generating content that will attract your target audience because they can see the value you offer them. It’s crucial to know exactly what you want to achieve with your event and you need a strategy to get the right people to attend your event. To do this, your team can come up with a list of people the company needs to target. To come up with a list your team can decide what kind of person the company wants to target, investigate their online profile and activities and then target your message for these people. What you need is the right message targeted at the right people. This exercise also serves to generate general awareness and excitement about your event. You need to collect as much information as possible on who will be attending the event. This is done by setting up a smooth registration process that asks the right questions. There are two points to remember when setting up a registration process for an event that is aimed at generating leads: the process must be painless and it must collect the right information. In order to gather relevant information, the questions must be specific. Get the details that you need, nothing more. After all, knowing exactly who is attending a key talk is the most important piece of information for an eventual sale. Make use of available technology to ease the process. Consider a lead scanner, which lets you quickly scan an attendee’s name badge, allowing you to capture the attendee’s full name, title, company, and contact details. Start with an event landing page that details your event, its purpose and your company’s reason for hosting it. Tell your story in a fun way and draw attention to special attractions and prizes for attendees. Your landing page is the first step in building excitement around the event. Make sure your readers can register for the event via your event landing page. Assuming your event is relevant to your industry and fulfills a need, those readers who complete the landing page registration form will become great leads. Start blogging about your event. Blogging will help you extend awareness around your event and drive more traffic to your website. You can turn blog readers into potential leads by asking for their email address in exchange for a blog post in their inbox on a weekly or monthly basis. These emails also serve as a basis for developing a relationship with potential leads. Consider doing some research and creating an industry whitepaper. Research establishes your business as a source of expertise and contributes to your company’s status within your industry. Producing a white paper is an excellent way to provide relevant content to your audience since whitepapers are based on an existing problem and offer a solution to the problem. The basis of the white paper could be an industry survey. The outcome of the survey generates interest and gets people talking even before the event. Be sure to appoint a social media expert to monitor these discussions and offer relevant company commentary. Should you succeed in this endeavor, those people who pick up on and participate in the discussions are sure to be promising leads. One commentator suggests doing a survey targeting specific industry problems during the event itself and gathering comments from delegates which can then be discussed at an open forum during the event. Delegates who participate in such forums would be hot leads to follow up with after the event. This cannot be emphasized enough. No matter how big or impressive your event, how great your giveaways, or how great the speakers, the most successful business events are the ones that have the most dynamic staff on the ground. Regardless of budget, you must make sure you have your best team at the event. After all, the people staffing your event are representing your brand. You need to choose who best represents your brand and knows your product or service the best. Make sure every team member has an integral role to play in ensuring the success of your event, including viewing each attendee as a possible lead. Have company experts and strategists present at the event so salespeople can call on their specialized knowledge for delegates who require more in-depth information. Choose people from your staff who are personable and assertive and who always come across as professional. If you are serious about boosting your lead generation efforts, consider live-streaming your event for those who can’t be present on the day. Live streaming your event allows you to reach even more people on the day and afterward. Statistics show that live streaming increases subsequent attendance. According to Digitell, up to 30% of people who attended a live stream event, went on and attended the live physical event the following year. Live streaming your event will give you more lead generation opportunities – in order to attend the event online, you can require attendees to fill out a registration form and provide you with their contact details giving you an instant lead to engage with later. Events are an effective way to secure new business, but you need to maximize the lead generation opportunities it offers. To achieve this, you need to plan your event with lead generation in mind. And for this, you need your best people on the job. With a carefully constructed plan and the correct people to execute it, you’ll present powerful lead generating events that will ultimately have a positive impact on your business and on your bottom line. 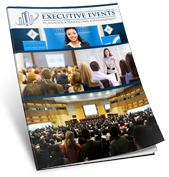 For assistance with your lead generation plan, contact Executive Events today by calling Deany at 757-785-5081 or emailing info@assistmyevent.com.